Fig. 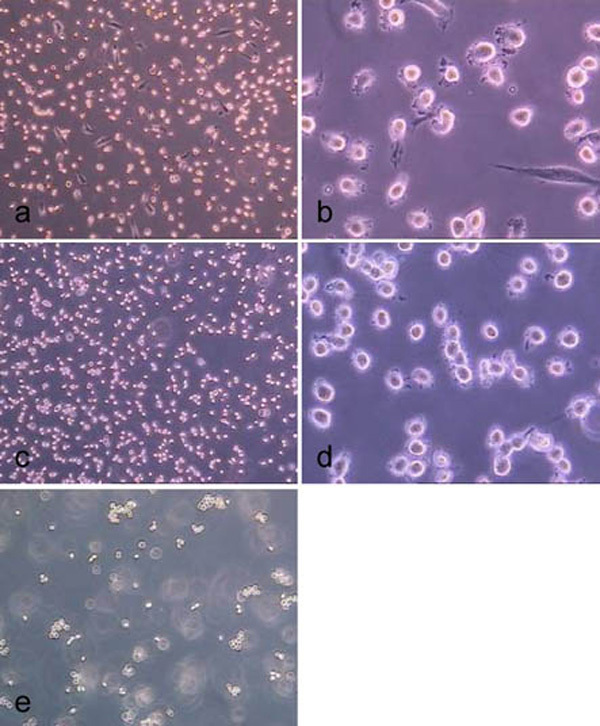 (15) Treatment of hMSC-TERT, grown in 6-well cell culture plates, with trypsin for 0.5 min (a, b), 1.0 min (c, d) and 2.0 min (d, e). (light microscope images, magnification factor 100 and 200).